With the rapid changes in technology we have the most advanced computers today. They can do things in ways now in ways no one could imagine before. Though much advancement has taken place in the field of computers, but many myths about them have built up over time. But these need to be cleared. 1. Viruses and Malware are why computers are broken? Often you may think that if your computer is not performing well, it is always because of virus or malware. But this is not true all the time. Modern malware is so advanced that there is no change in the performance of the computer. It is surely possible that your computer is infected by malware and is using its resources. But viruses are not usually why your computer gets slows always. So you need to be careful as it is not the only symptom which indicates a virus attack. You may have the misconception of thinking that the antivirus loaded in your computer will protect you again all viruses out there. This is not true. In fact experts say Antivirus software is the last line of defense. It can in no way be a 100% full proof. Besides the viruses and malware too is getting all the more advanced all the time. It is true that some applications store cache files which are offline copies of files they have already downloaded. Often some applications access these downloaded files from your hard drive. Certain tools can wipe out the cache to free up space. Regularly clearing this means that each time they have to again re-download everything which can make your internet browser slow. You could put your computer on the sleep mode. This makes it use almost no power. It would be ready to go immediately when you turn it on. Now days most go off to sleep mode by merely closing the lid of the laptop just would make it sleep. In fact in case of some desktop PCs can use low-power sleep and hibernate modes. There are some people who want to avoid automatic updates at all costs. They would go out the way to block such updates. However you need always block such automatic updates. In fact sometimes these automatic updates may help to close any type of security loopholes. Microsoft is doing to get out of this bad reputation in recent versions. In fact some of the latest versions of Internet Explorer are actually pretty good. Internet Explorer 9 helped to improve things drastically, and IE 10 and 11 are even better. This is another myth in the industry that one person can know about everything in the industry. It is true that your computer person is really good. But he cannot fix issues you have with your website. The reason for this your website is hosted on other server. Nowadays, our modern equipment, including PCs and mobile devices, has switched to using lithium ion batteries. These batteries do not require complete drain out before they can be recharged. 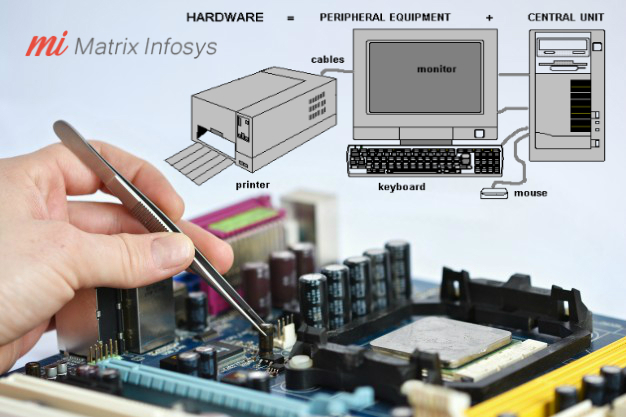 We hope that these will help you clarify any doubts regarding computer repairing. For more details in regard to computer repairing please visit our website. Very informative blog. I think many of the PC users do not know about these things and they face problem in their laptops. If you are looking for the online technical support then, you need to visit ET Solutions LLC for technical services.